Females whose own eggs are of poor quality and who have failed multiple IVF cycles. Females who are younger but have premature ovarian failure. Females who are older and whose FSH is elevated and whose chances of achieving a pregnancy with their own eggs are negligible. Females who are born without ovaries. Females whose ovaries and eggs are damaged from disease and/or chemotherapy or who have been advised to have their ovaries surgically removed. Females with chromosomal translocations or genetic diseases that they do not want to pass on to their children. An egg donor is also required for gay couples using gestational surrogacy in order to have children. Go IVF has a database of egg donors for you. 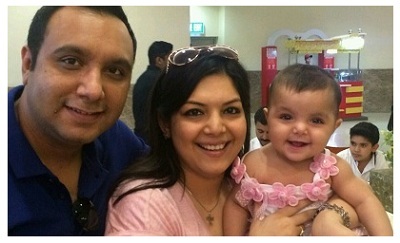 Indian egg donors of different tones of skin can be offered. As India is a vast country ranging from the chilly Himalayas to hot desserts, the Indian egg donors also would differ in looks.We have Indian egg donors in two categories. Our regular donors would be females between the age of 19 – 28 and mostly primary educated females, housewives etc. The Premium egg donors would be university students, graduates and post graduates and would be mostly working females.We are also associated with an international donor agency and can offer Caucasian egg donors, African egg donors and other race donors too! 4. Reason for donating. There should be some indication that a donor has some interest in donating beyond simply the money. In our opinion when a donor has some altruistic motivation in addition to the money, they seem to be more compliant in terms of their treatment protocol. One additional issue that we counsel patients to be aware of is that there is a difference between a “proven donor” and one that has never donated before. A “proven donor” is a donor who has donated before and whose donation has resulted in a pregnancy. Such donors obviously remove much of the guess work in an egg donor cycle. We have seen a higher pregnancy rate with “proven donors” as opposed to young ladies who have not donated before. Having said that however, this does not preclude patients from using donors who have not donated before if they fulfill other criteria that are of importance to the patient. 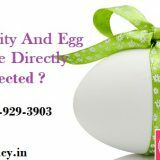 It is just an additional element for patients who are looking at egg donation to be aware of in their decision making process. We seek your arrival schedule in India and the egg donor is given medication to stimulate her ovaries to grow multiple eggs accordingly. While her eggs are growing, the IVF specialist will prescribe the recipient of the donated eggs to take a few medications even prior to arrival in India. She will take hormones for about two weeks to synchronize her cycle with the donor’s cycle. Therefore the female intended parent’s uterine lining develops as the donor’s eggs grow which produces the implantation environment for the embryos which would be transferred two to five days after the egg retrieval. The decision of the number of embryos to be transferred is taken by the IVF specialist after the IVF Treatment procedure. As per the embryo quality, number of mature embryos, cell division etc. she will take a call on the number of embryos to be transferred in you. She will also consult you and then does the transfer. The IVF specialist will normally transfer 3 – 4 good looking embryos in the female intended parent. VF / ICSI at one of our IVF centre in India can cost you between USD 4500 – 5500 for the entire cycle. Hormonal medications are included in the package. The compensation for Indian egg donor (regular) would be USD 1500 and for Indian Premium egg donor would be USD 3000 additional. If you need a Caucasian egg donor or other race egg donor, the egg donor would travel from South Africa / Europe and donate for you. The cost would be separate and can be informed when you get in touch with us. Included In The IVF ICSI With Egg Donor Treatment Cost? 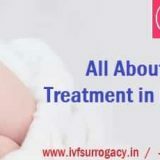 What Is Not Included In The IVF Treatment Cost? How Do I Begin The IVF / ICSI With Egg Donor Process? Success with donor eggs is always higher as compared. 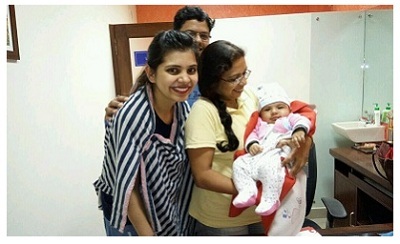 The success rates of donor egg IVF / ICSI at Go IVF clinics in India is more than 60 %. As you are coming for IVF / ICSI with an egg donor, the donor would be started on medications prior to your arrival and your stay would be for 10 days in India. A hotel or a decent guest house near the clinic can be arranged for you. The cost of the accommodation can range from USD 30 – 200 per night. You can contact us by filling out a form or emailing us. We will get the opinion of the IVF specialist and send you a few medical tests list that she will need to opine on your case. We will also email you the profiles of egg donors to choose from. Once these medical tests are reviewed by her, we can plan for your ICSI cycle the next month or as per your schedule.